In the last half of the 19th Century, a reform movement spread through England and the United States. It changed the way many people thought about style and health in the home. People had filled their homes with large pieces of carved furniture, thick upholstery, and heavy draperies that collected dust and germs and kept out healthful air and light. The new simpler style of interior decoration was ushered in sparked by an idea from an architect and writer. Charles Eastlake, an Englishman, wrote the book Hints on Household Taste in Furniture, Upholstery, and Other Details. He thought the objects in people's homes should be attractive and well made by workers who took pride in their handwork or machine work. As the book became popular in the United States, furniture manufacturers took ideas and designs from the groundbreaking book and introduced what came to be known as the Eastlake Style of furniture and design. Charles Locke Eastlake further popularized William Morris' notions of the decorative arts in the Arts & Crafts style. They remained dedicated to interior design basics as they related to handcraftsmanship. Eastlake's Hints on Household Taste in Furniture, Upholstery and other Details of 1868 showed Eastlake as an of Morris' simple, straight lined designs which were inspired by rural woodworking executed in oak and other fruitwoods. He suggested a home style that was cohesive whereby only a single influence dominated the furnishings within a home. In 1872, Eastlake published his book in the United States, where it served to seed the land for the American Arts & Crafts Movement. 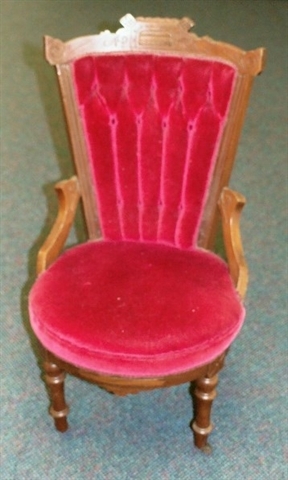 The use of rugged woods like oak and the elimination of applied decorations were characteristic of Eastlake furniture. Eastlake inspired the manufacturers of machine-made furniture to explore the decorative possibilities of their machines; imitating his handiwork with such things as glued on moldings and machine-reproduced architectural detail. Eastlake disliked these imitations and publicly disavowed any association with their manufacture. Eastlake furniture was referred to as using joinery and would suggest oils rather than stains to disguise inexpensive woods. Pieces of furniture in this style had low relief carvings, incised lines, moldings, geometric ornaments, and flat surfaces that were easy to keep clean. Also known as Cottage Furniture, the mass-produced pieces were much more affordable than fanciful revival ones. In Hints on Household Taste, Eastlake encouraged "honesty" in construction. He called for hand crafted, solid wood furniture with rectangular joinery. He condemned the practice of using stains and varnishes to disguise inexpensive woods, calling instead for oiled, naturally colored finishes. Like Duncan Phyfe furniture, Eastlake style furniture is frequently seen in antique shops all over the United States, but especially in the east and midwest. It was manufactured by factories in the east that had branch offices in midwest cities. Carpenters also made pieces of furniture from patterns in this style for their homes and for customers. The style differed from the original concept of Charles Eastlake; some versions were more ornately carved and others were minimally incised, perhaps having only reeded and chamfered corners. The concept of simple, affordable, attractive cottage furniture survived. Request an online appraisal of your Eastlake piece from Dr. Lori.